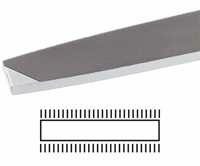 Rectangular file with tapered end. 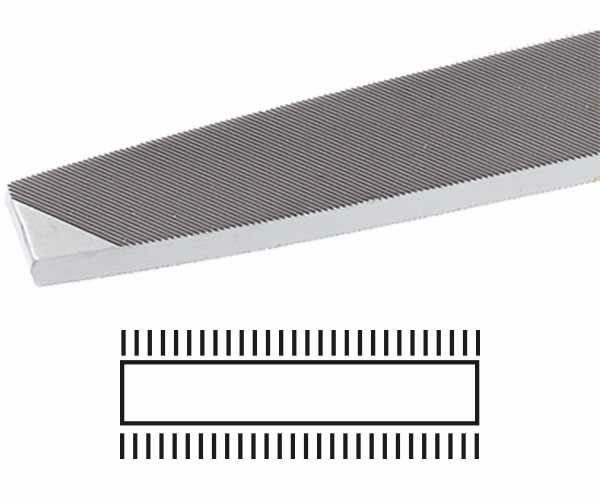 Single Cut with teeth at a 'long angle' on both sides, Two 'safe' edges. Use: For finishing and smoothing on the lathe.